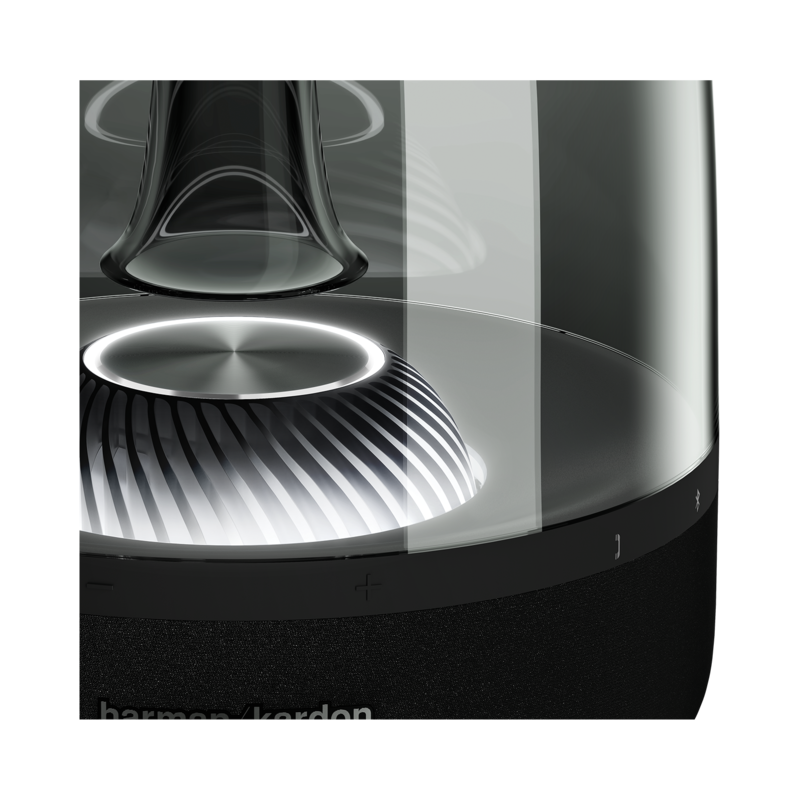 Sound looks beautiful thanks to an ambient white light glow from the center turbine and an animated center ring of LEDs. 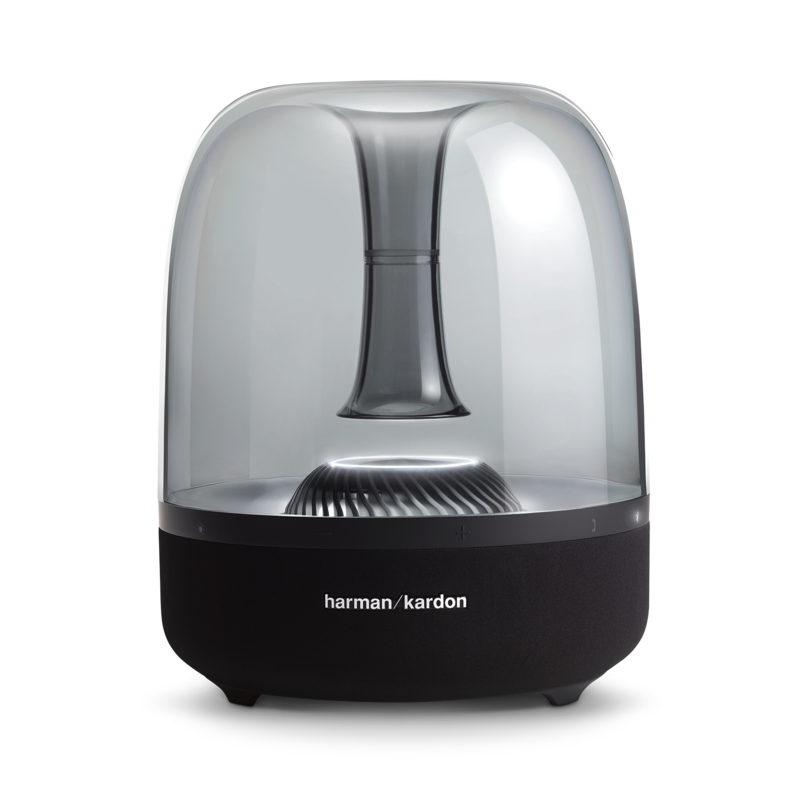 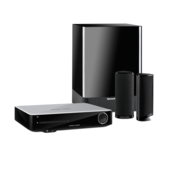 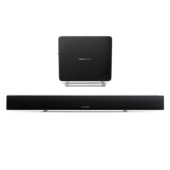 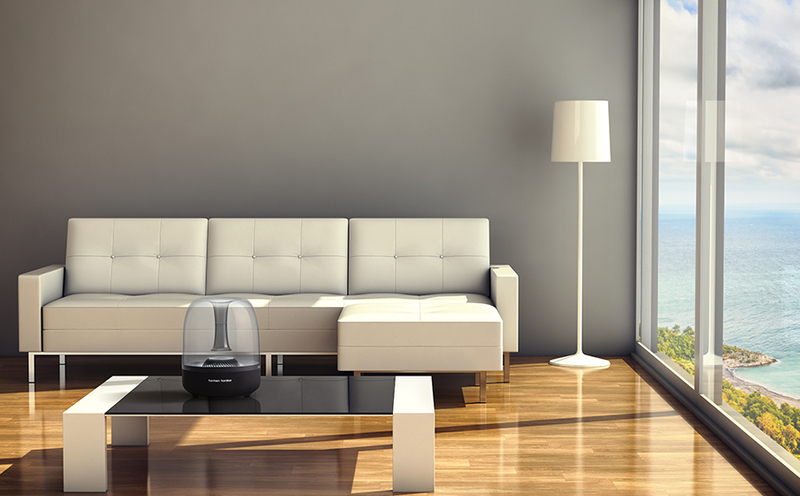 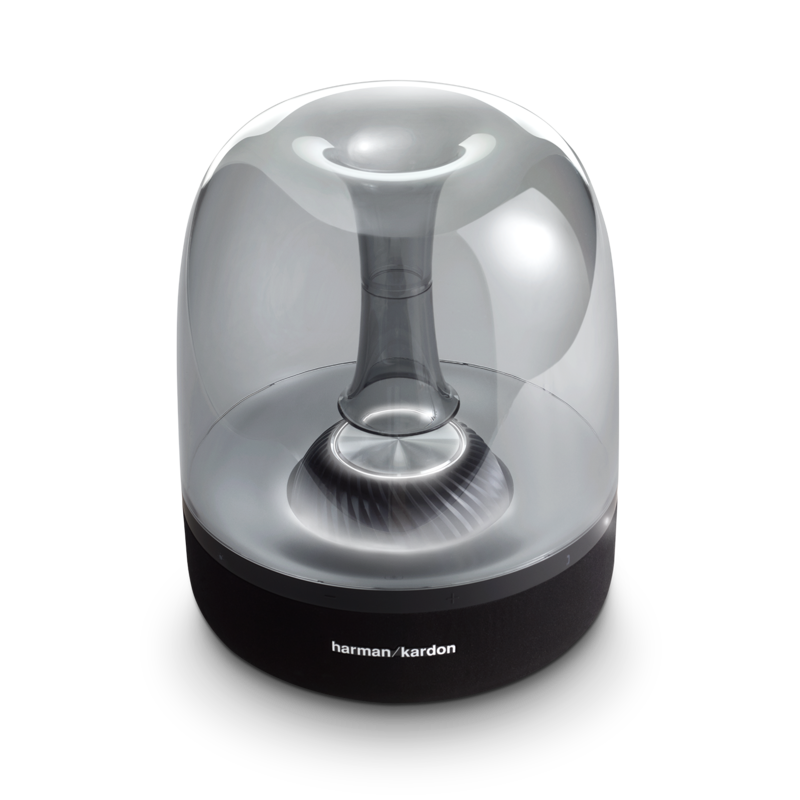 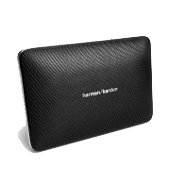 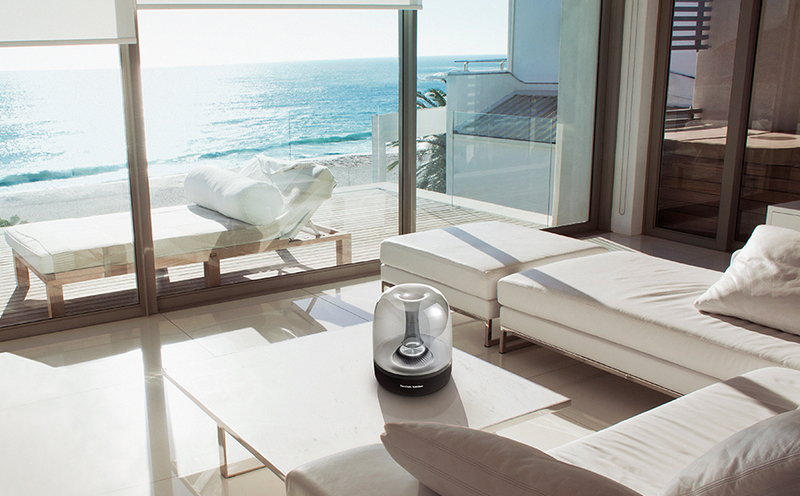 Conveniently link two Aura Studio 2 speakers or integrate with a host of other Harman Kardon products. 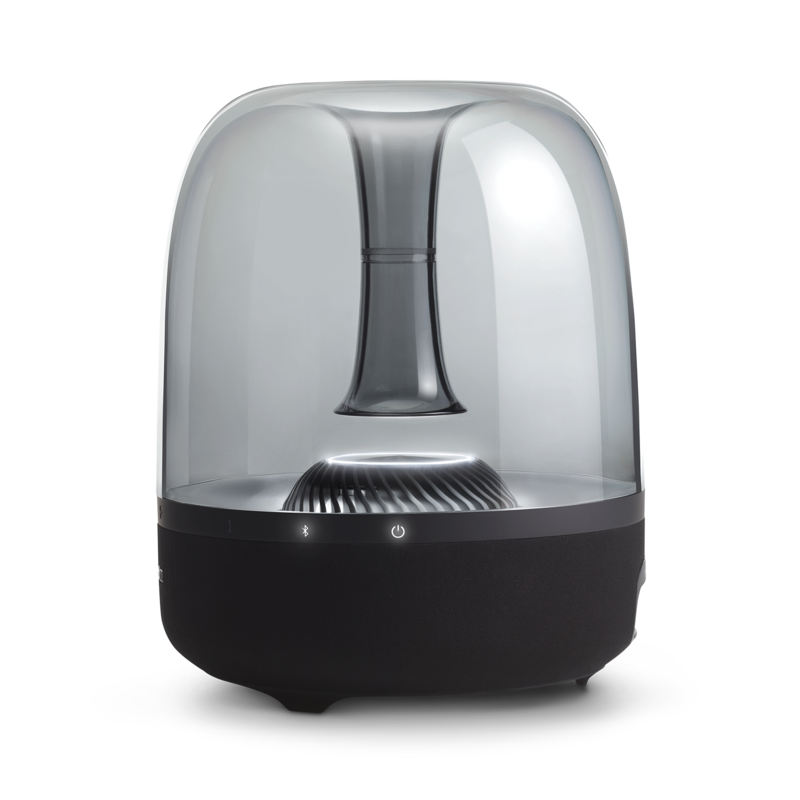 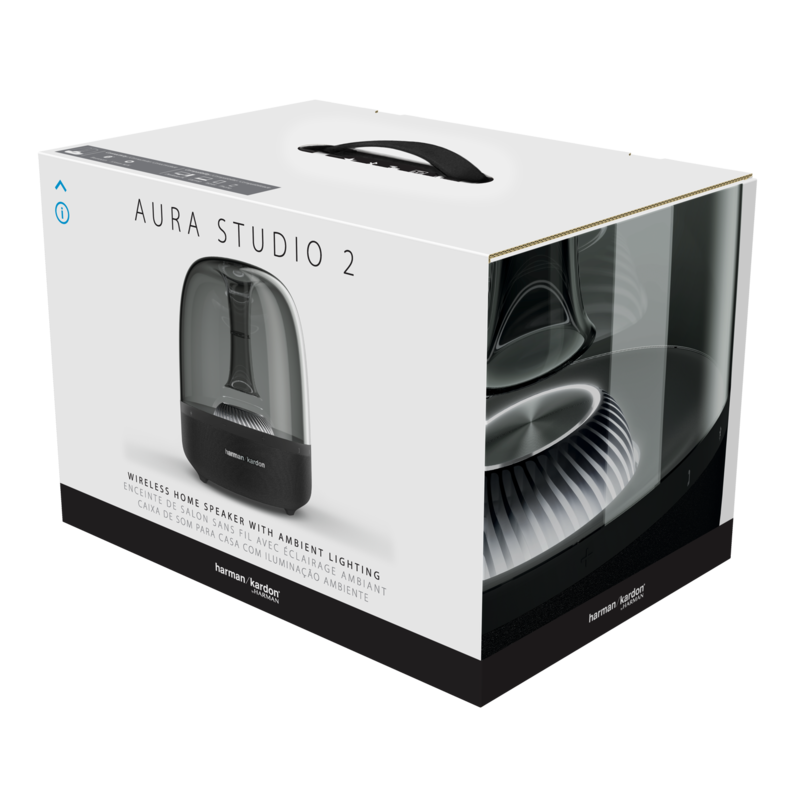 Featuring iconic design, ambient lighting and ease of use, the Aura Studio 2 delivers the impeccable, high quality Bluetooth audio streaming you’ve come to expect from a Harman Kardon product. 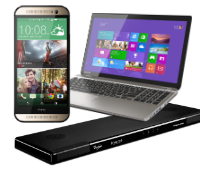 Equipped with an animated ambient white light that glows up from the center turbine and a sleek, tinted dome, your music has never looked better. 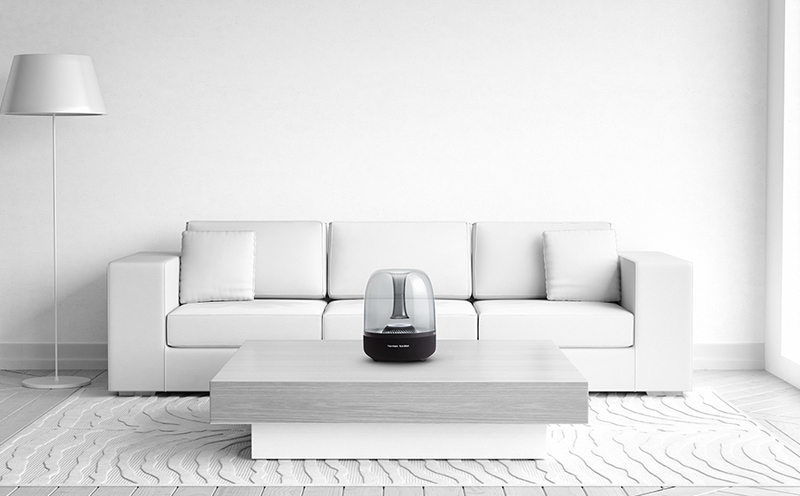 Add in no less than six premium 1.5” high/mid-range transducers and a powerful 4.5” subwoofer that delivers 360-degree omnidirectional audio, and you’ve got the centerpiece of sound in any home. 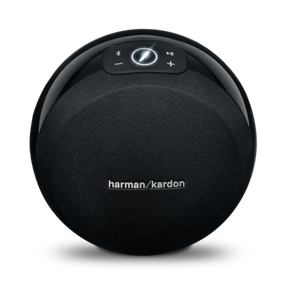 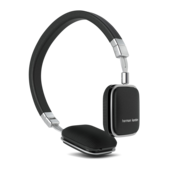 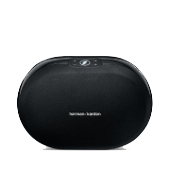 Sound that can be easily amplified thanks to the Wireless Dual Sound feature that lets you conveniently link two Aura Studio 2 speakers or integrate with a host of other Harman Kardon products.